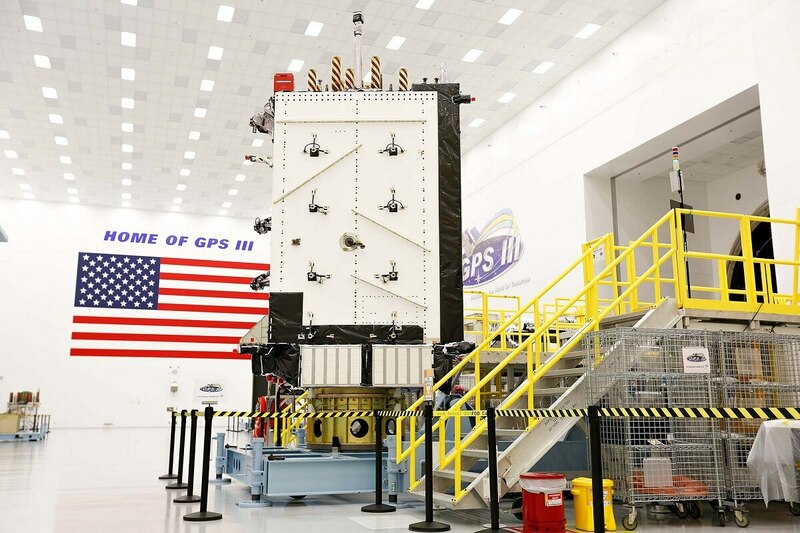 WASHINGTON ― Harris Corp. delivered the fifth of 10 advanced navigation payloads to Lockheed Martin for the U.S. Air Force’s next-generation GPS program, the company announced June 5. Lockheed Martin successfully integrated four previous navigation systems to GPS III space vehicles. The first satellite is expected to launch later in 2018. The second space vehicle passed thermal vacuum testing in December 2017, and is expected to be declared available for launch this summer, but likely will not launch until 2019. The next two space vehicles are scheduled to undergo environmental testing before the end of 2018. The navigation payload includes “a Mission Data Unit (MDU) with a unique 70 percent digital design that links atomic clocks, radiation-hardened computers and powerful transmitters,” the Harris release said. This allows for signals three times more accurate than those on current GPS satellites, the company said. The new model contains a three times reduction in range error, an eight times increase in anti-jamming power, added signals including compatibility with Global Navigation Satellite Systems and stronger signal integrity. The next-gen navigation payload will also grant the clock signal for a new GPS III Search and Rescue (SAR) payload. Harris is expected to deliver three more navigation payloads by the first quarter of calendar year 2019.